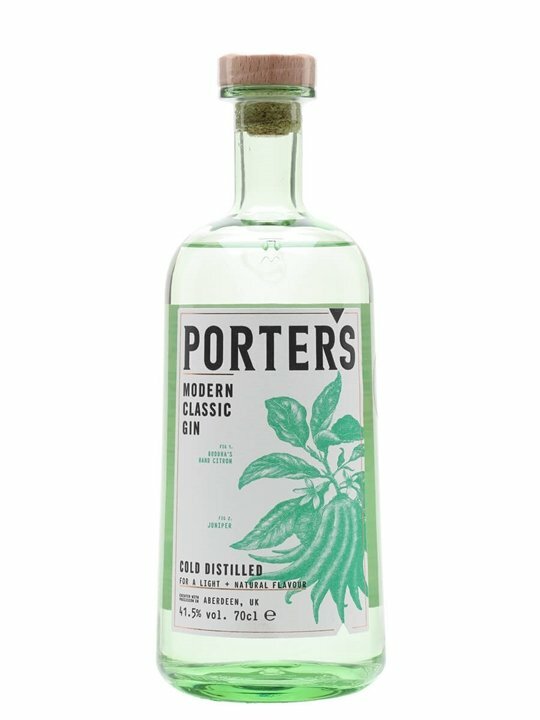 Porter's Gin hails from the Scottish city of Aberdeen. The botanicals include Buddha's hand, pink peppercorn and orange, leading to a floral gin with notes of juniper and citrus. The cleanest, freshest gin i have ever tasted. Love it. The gin is just beautiful. You can drink it neat over ice to get the flavours. Also try over frozen raspberries with fevertree tonic. Keep it simple. Lovely. Nice also with a sprig of thyme. I’ve tried many different types of gin and this is one of my favourites. It doesn’t need anything other than Fever Tree tonic and ice. Don’t put a slice of lemon or lime in. It will ruin the beautiful flavour of this superb gin. I love gin and thought I'd try it and hands down one of my favourites! Absolutely recomend! This is really a superb gin, lovely just with a Fever Tree tonic and slice of lime and ice, but also lends itself to other options and some really interesting cocktails. It will definitely be a permanent fixture on the drinks shelf!